One of the premier names in guitar manufacture, Ibanez has produced a fantastically low-priced package with everything for the beginning guitarist. 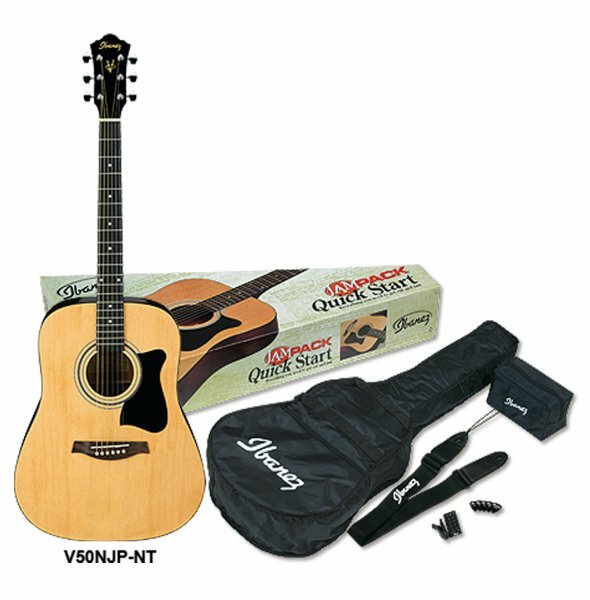 The Ibanez V50 natural-finish acoustic guitar features a spruce top for fantastic tone. The Ibanez Jam Pack package also includes an accurate electronic tuner, padded Ibanez gig bag, Ibanez guitar strap, pics and accessory pouch.